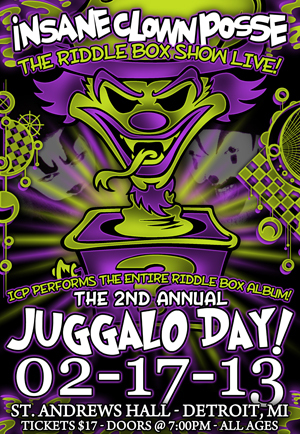 Violent J and Shaggy 2 Dope perform the ENTIRE Riddle Box album LIVE from front to back! There will also be special merch available at this one-time Detroit show! This is an All Ages show, and tickets are $17.00 in advance, or $20.00 at the door!